The British rock/pop band achieved success with a string of hit singles during the late eighties and into the early nineties, and also had three successful solo albums and a Greatest Hits album. The China In Your Hand single was a re-recorded version of the track on the band's debut album Bridge Of Spies (an album I used to play often in my car's cassette player), and after being released in October 1987, it spent five weeks at the top of the UK singles chart. The song was also #1 in several countries across Europe. The follow-up album Rage made #4 in 1988 and a third album entitled The Promise reached #10 in 1991. Bridge Of Spies remains the band's most successful. Released in September 1987, the album achieved 4x Platinum sales in the UK and spawned five hit singles. 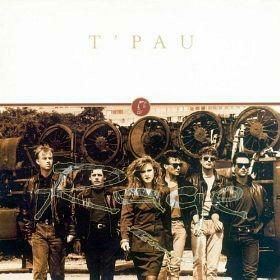 The last commercial success for the band was in 1993 with the album Heart And Soul - The Very Best Of T'Pau which peaked at #35 in the UK album charts during 1993. After this, the hits dried up, although Carol Decker continues to perform at 80's concerts as a solo act using the name T'Pau. 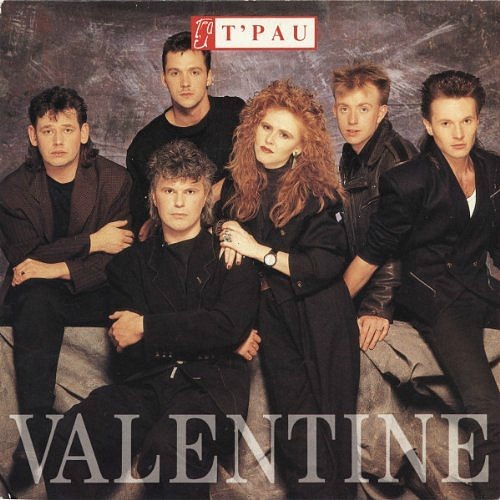 This was T'Pau's very first single release and the lead single from Bridge Of Spies. After featuring in a Pepe Jeans advert, the song became a big hit, reaching No.4 in both the USA and UK. It features rapping in a kind of Pet Shop Boys style, which then overlaps the actual main lyrics. Having not listened to this track for a very long time, the rap now sounds rather strange. I guess the producer, Roy Thomas Baker, was trying to be clever! This eighties power ballad was my favourite track from the Bridge Of Spies album, and the last top ten single in the UK for T'Pau, peaking at #9. The song was written by the band's guitarist Ronnie Rogers and lead singer Carol Decker. The B-side was entitled Giving My Love Away. A reissue was released in 1993 to help promote the compilation album Heart And Soul - The Very Best Of T'Pau, although it failed to make a dent in the Top 40, stalling at #53. This official video clip by Absolute Radio features T'Pau lead singer Carol Decker being interviewed at the 80s Rewind festival in the summer of 2012. Eighties band T'Pau disbanded in 1991, but reformed with a totally new line-up in 1998, with Decker remaining as the lead singer. They now regularly perform at eighties nostalgia festivals. T'Pau's last British hit was back in 1991 with Whenever You Need Me. Reaching #16, this was the lead single from the band's third studio album The Promise. Carol Decker married restaurateur Richard Coates in 2006, but her partner during the the band's golden years was band member Ronnie Rogers, who also co-wrote many of T'Pau's songs with Carol.